Sep 30, 2016 • Glaciologist and prolific AGU blogger, Mauri Pelto, regularly publishes posts about changing glaciers around the globe on his From a Glacier’s Perspective blog. In many cases, Landsat data informs his posts. 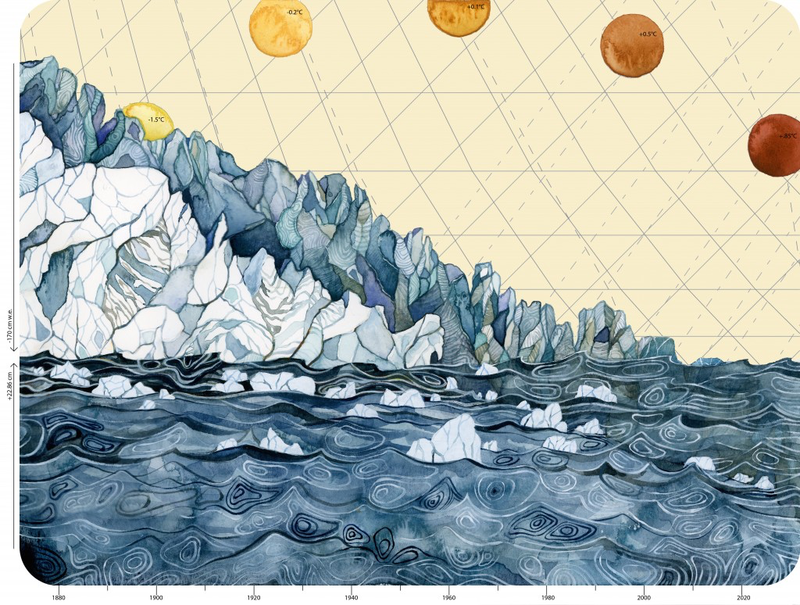 In an interesting aside, Pelto’s daugher, Jill Pelto, an artist and environmental scientist, has been combining her art and science backgrounds to create data-based works of art, like the artwork to the right.